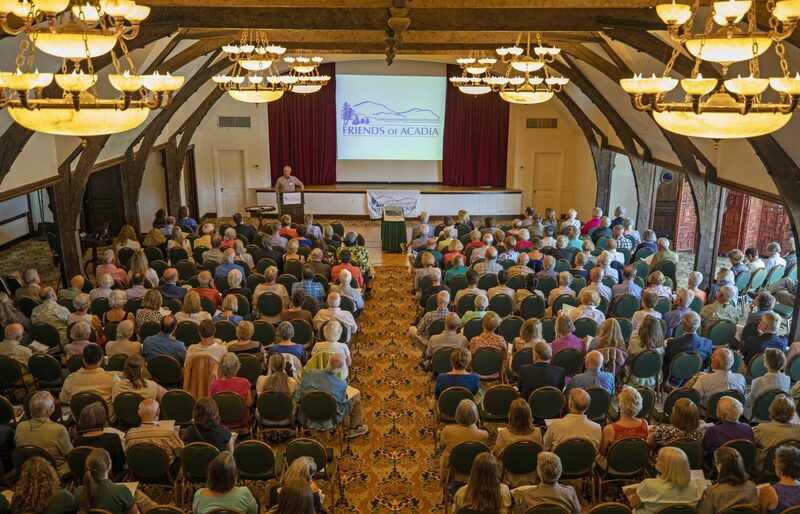 BAR HARBOR — Four area residents were honored by Friends of Acadia for their service to the organization and Acadia National Park at FOA’s 2018 Annual Meeting on Wednesday, July 11. Doug Heden of Bar Harbor was named recipient of the Acadia Preservation Award for his volunteer trail work and his creation of a history of a nascent Friends of Acadia (FOA). The organization was founded in 1986. During those early years, a fledgling FOA overcame several financial, organizational and political challenges on its way to becoming the one of the most respected Friends groups in the country. Retired Acadia National Park Ranger Charlie Jacobi of Bar Harbor was named winner of FOA’s top honor, the Marianne Edwards Distinguished Service Award. Edwards was the pivotal figure in the creation of Friends of Acadia and a tireless volunteer and champion for the park. In announcing the award, FOA President and CEO David MacDonald noted that Jacobi had dedicated his career for decades to helping educate and train more than 80 young conservationists via the Ridge Runner, Summit Steward and Rec Tech programs. “He has had as much impact on this organization as any other National Park Service Employee,” MacDonald said. Jacobi was instrumental in the creation and success of several key Acadia/FOA initiatives including returning Bates Cairns to historic hiking trails, village connector trails, as well as Leave No Trace education. A video of the entire meeting, including Jacobi’s remarks, can be viewed online on the Friends of Acadia Facebook Page. The 250 people in attendance also heard remarks from MacDonald, Board Chair Anne Green, President and FOA Conservation Director Stephanie Clement, Acadia National Park Superintendent Kevin Schneider. MacDonald continued that everyone who rides the Island Explorer, uses refillable water bottles, who stays on the trail, who commented on the park’s proposed Transportation Plan who does things big and small to protect the park, is, in effect, a friend of Acadia. For more information about Friends of Acadia visit www.friendsofacadia.org, or call 207-288-3340.